Cool Reflective Helmet Decals - Reflective Helmet Decals are HOT! Ultimately Cool, Outrageously bright at night! A safety plus! Great for CAR DECALS and TRUCK DECALS TOO! A great safety item! Want to see more reflective helmet decals? 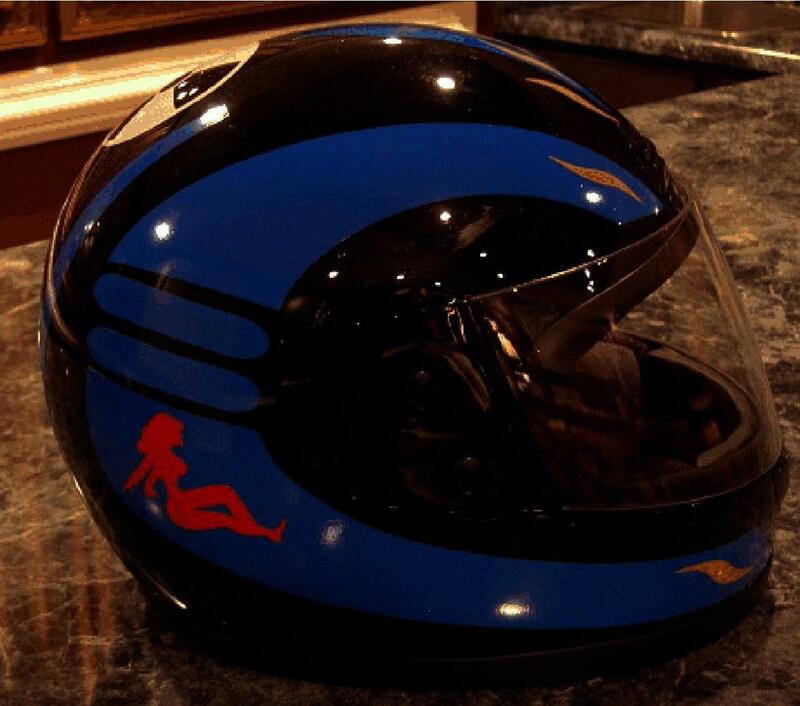 Bold and Powerful reflective helmet decals. Very noticeable at night! This is our biggest reflective decal for full face helmets or any helmet with a little cutting. Huge 14” tall x7” wide. Longest stripe is 13 1/4” and wraps around the chin guard. Streetglo reflective helmet decals are the brightest helmet stickers on the planet! 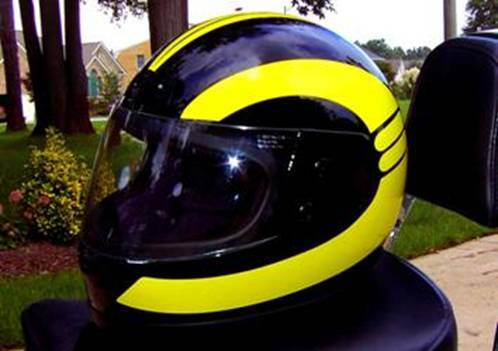 Our Speed Stripes reflective helmet decal can keep you safe at night!